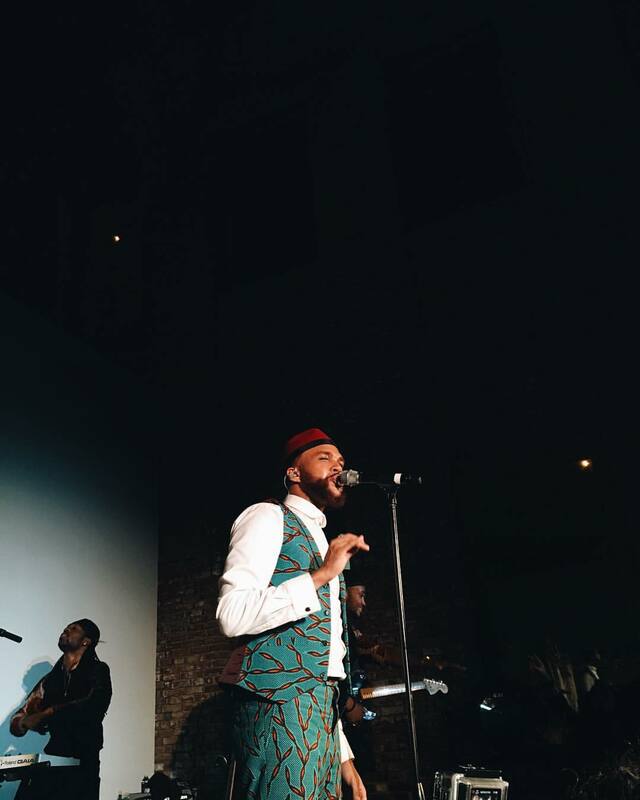 On Friday June 3rd, Jidenna performed at AFRICA’SOUT! Celebration After Party. AFRICA’SOUT! 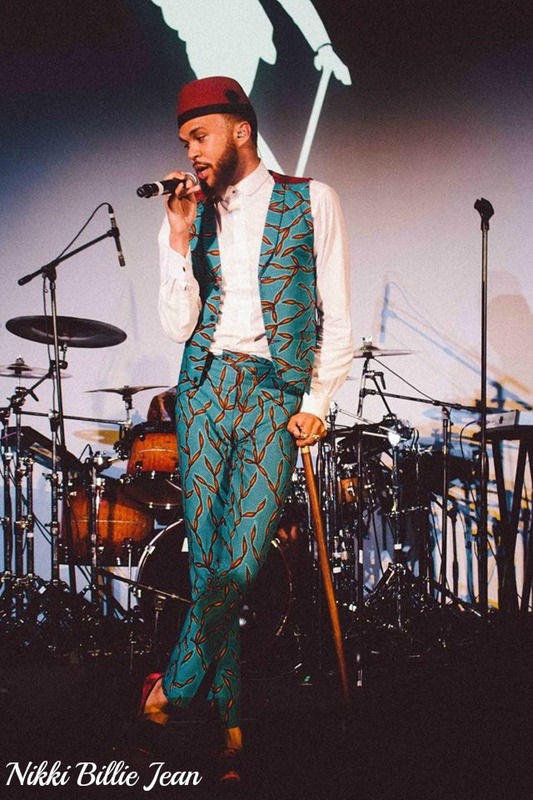 is a bold loudspeaker and a groundbreaking proponent for gender and sexuality equality that calls for radical change through ‘Imaginative Activism’, creative brilliance, and new, effective methods of articulation. AFRICA’SOUT! 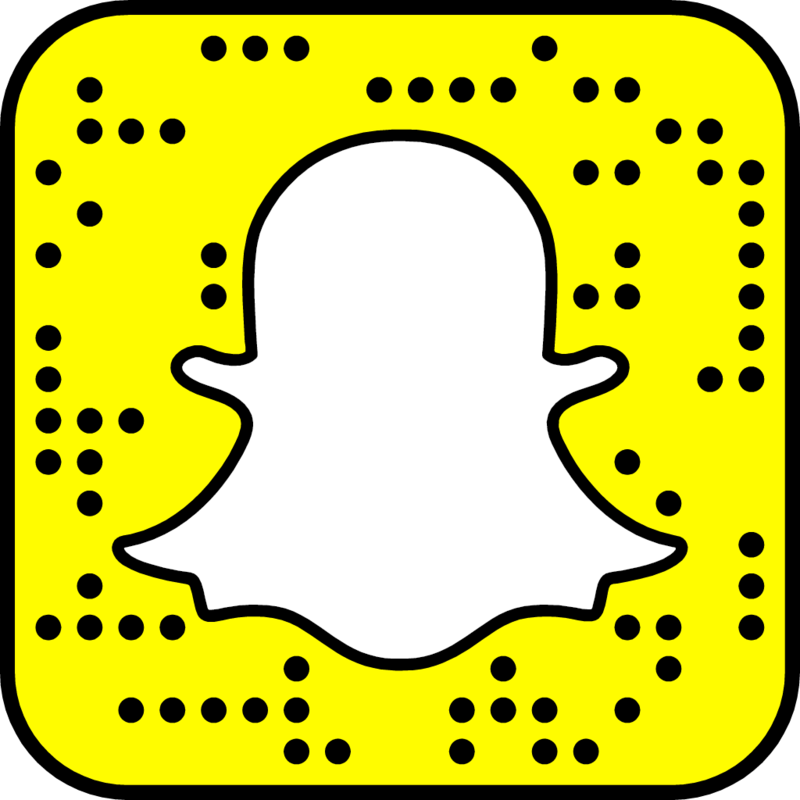 highlights the urgency of these pressing issues through unique and dynamic platforms by harnessing the power of artists and the creative community, especially from within the African Diaspora. AFRICA’SOUT! 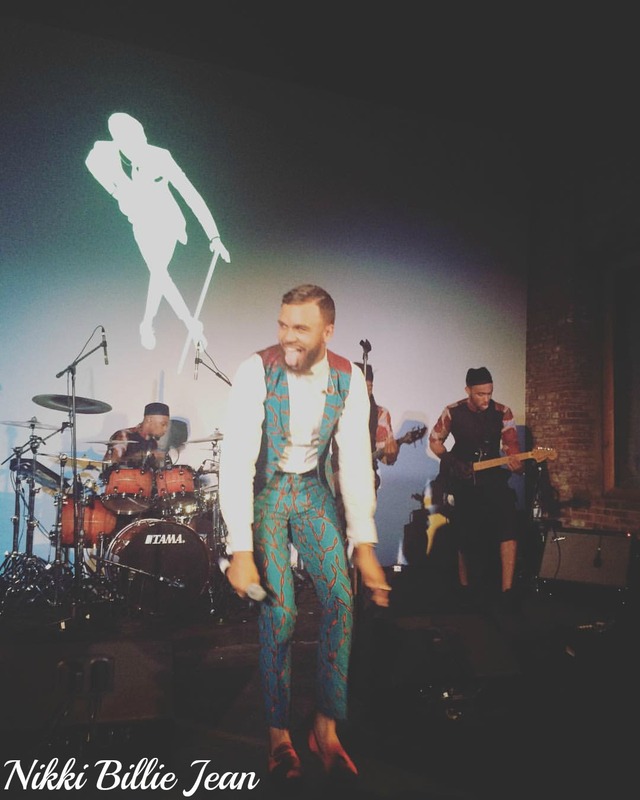 Celebration benefits AO!’s initiatives & UHAI EASHRI. 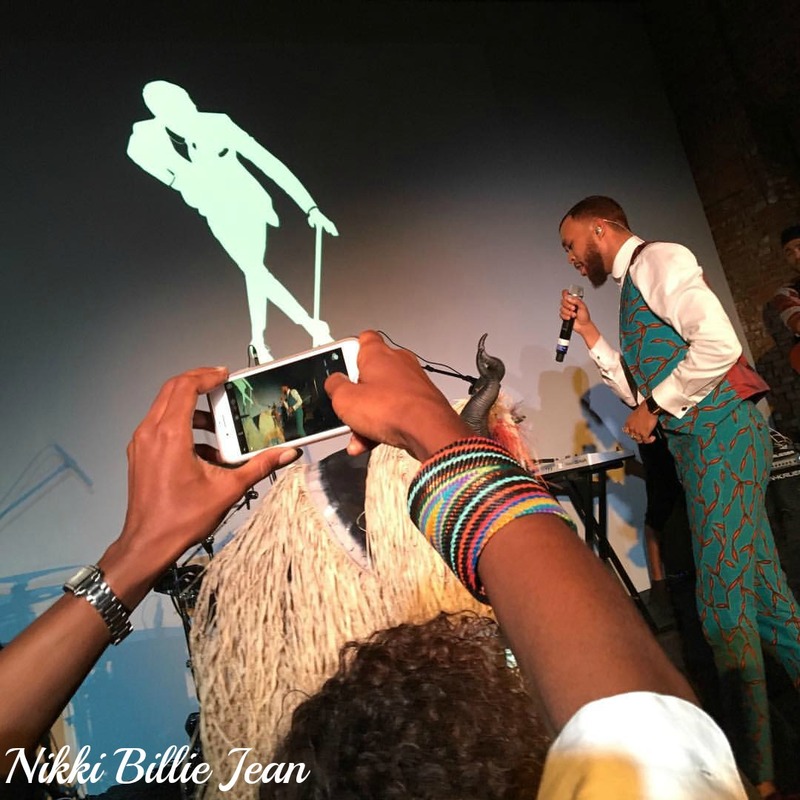 AO!’s Celebration After Party featured DJ sets by April Hunt and MikeQ and performances by Jojo Abot and Jidenna. 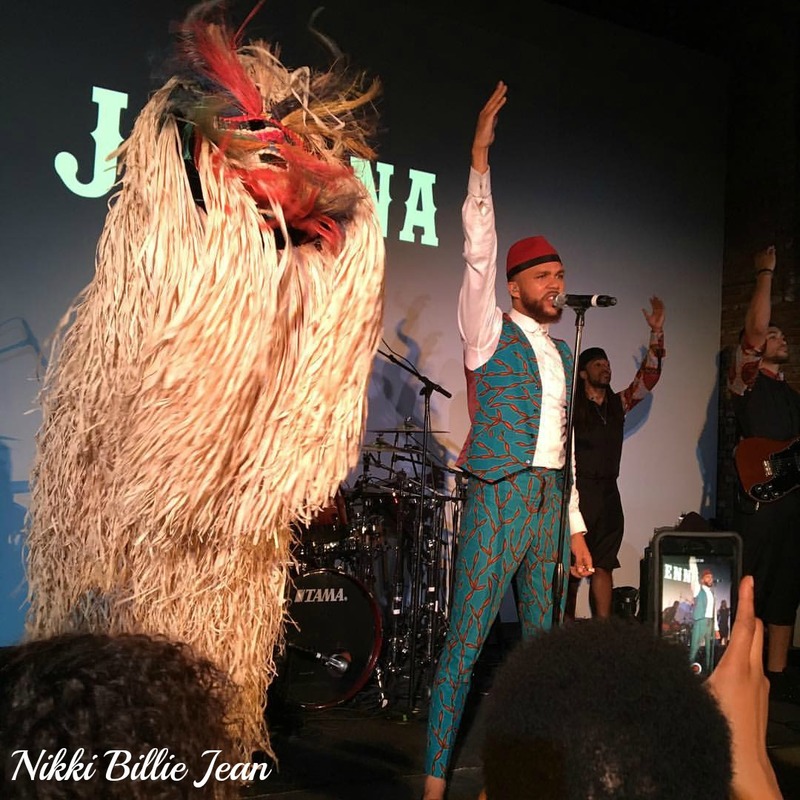 Jidenna is wearing a custom ankara print vest and pants made from Nikki Billie Jean’s Summer 2016 menswear suit collection. The collection will launch this summer. The band is wearing black shirts with ankara accents on the collar and sleeves.